Regular model for general lathe. Type KC is not waterproof. (KC-5 come with the center head 5A60° and DHN-2). 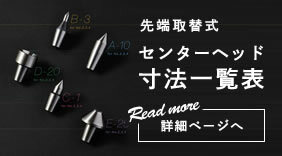 Type KC-6 comes with the center head 6A60° and then the center head ejecting drift DHN-2. ●Only KC-6 is waterproof and dust proof with taper roller bearing. 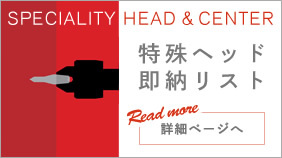 Head angles available are: 60°, 75° and 90°.